Want a tire that works as hard as you? 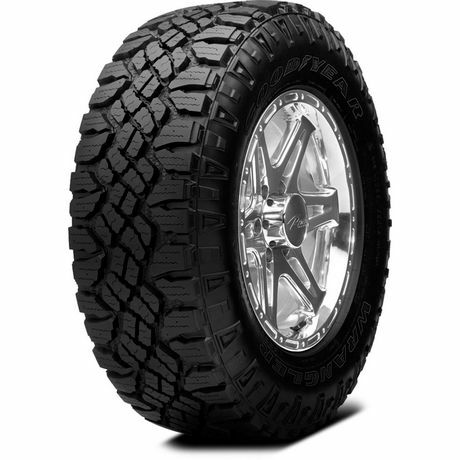 The Goodyear Wrangler Duratrac tire does just that, offering optimal all-weather traction and a quiet ride both on and off-road. Specialized grooves and 'self-cleaning' outer treads enhance grip in the most extreme conditions, while the inside tread pattern provides control and quiets road noise for a comfortable ride. A rim protector prevents curb damage, and a metal stud option provides extra grip for winter driving.